It is replaced by the Datalogic Rhino. 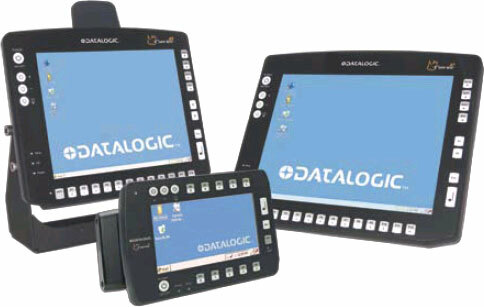 With 7, 10, and 12 inch display sizes available, the Datalogic R Series gives integrators and end users the flexibility to select the model that best matches their environmental and ergonomic requirements. The R Series fits different mounting and space constraints and provides up to 25 external keys on the front panel. 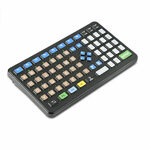 A software keyboard using the touch screen has over 25 layouts and adapts the R Series to a minimum footprint. 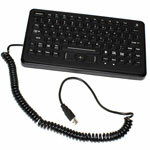 For applications requiring external keyboard, two versions are available QWERTY and ABCD layout. The R Series computers ship with Windows CE 5.0 operating system and have Wavelink Avalanche and Wavelink Terminal Emulation pre-installed and pre-licensed at no additional cost. Interfaces include two RS232, two USB and an expansion slot for 16 bit Type I/II PCMCIA card. Wireless connectivity through 802.11b/g, WLAN. Environmental ratings of IP65, IP66, and IP67, for work in the toughest applications.